Palmia Observatory: Feel the heat from the upcoming Falcon Heavy launch! A schedule of some upcoming conferences for physicist and astronomer wannabes! One of the next upcoming events is at the Beckman Institute near UCI in Irvine, is the Distinctive Voices free lecture on "Big Data: Beyond the Hype", on Wednesday, January 31. We are seeing more and more instances where ongoing experiments and observations, like those in astronomy, are collecting huge amounts of data and how to process that data and store that data is a big issue. Also be sure to consider the free UCI 2018 Reines lecture on March 6 at 7:30PM, featuring Nobel prize winner, Kip Thorne, who will talk about exploring the universe with gravity waves. This lecture at the Irvine Barclay Theater is free, but you need to sign up for tickets, if there are still some left at this late date. Now on to those meeting that have real dollar costs associated with them, but are also very interesting and informative. 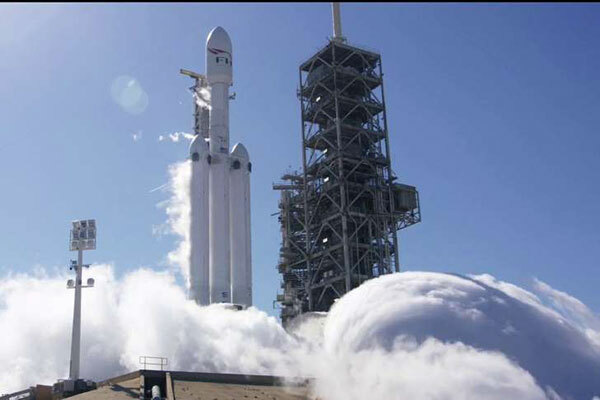 We just received an email from OCA Tom Munnecke, describing the upcoming launch of the SpaceX Falcon Heavy from Kennedy Space Center in the next couple of weeks. There are special ticket available that enable you to get as close as possible, about 3-4 miles, from the launch and the ad says "you will feel the heat." Anyway, it sounds fun! There is a logistics problem in that you probably want to buy the best tickets now, but you have to wait to see when the launch will occur and then get your airplane, rental car, and hotel tickets based on the launch date, which still might change after it is announced. Could be risky, but being that close to the rumble and heat is quite exciting and inviting. Check out the ticket details at the website below. Thanks for the alert, Tom! Other fee based conferences are also of interest to amateur astronomers and of course physicist wannabes too. If you get really interested or want to know more about the conference details, just search the associated websites. Many presentations will have you saying "Hey, I could do that with my scope"